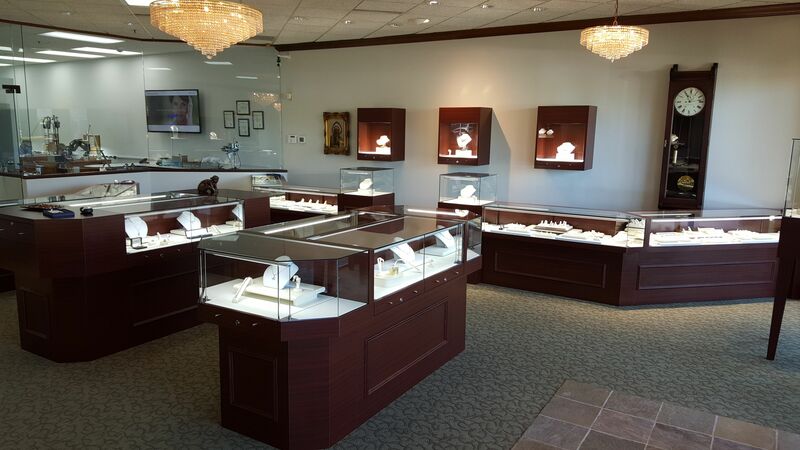 Our store is now completely remodeled and opened for business. 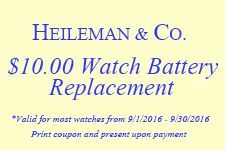 As a thank you to our loyal customers for their patience during the remodeling process we would like to offer a discounted watch battery replacement coupon. This coupon will be valid for the entire month of September 2016. Now is a good time to bring in all those watches you have been putting off replacing the batteries in. Print this coupon and present it at the time of payment. Heileman & Co. also would like to extend an invitation to come visit our store and take a look around our remodeled showroom. We have the perfect gift for all the occasions and special moments in your life. 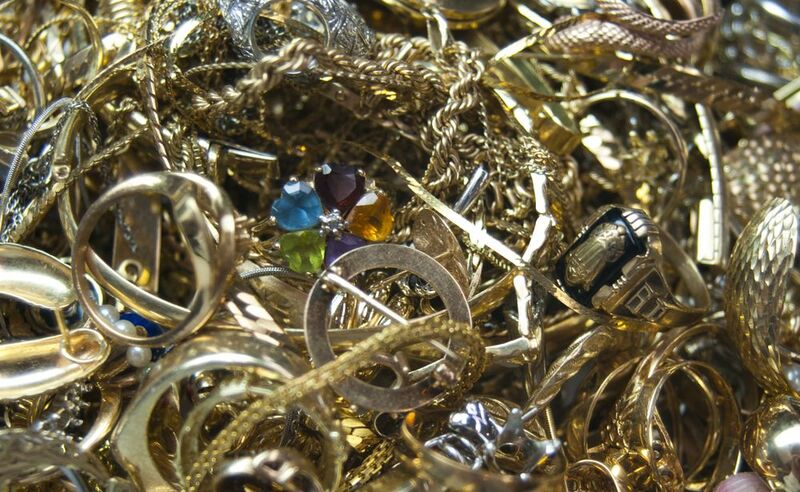 In our attached shop we not only create custom jewelry we also repair and perform alterations. We have recently launched our new website and we are proud to bring you a more user friendly layout. Over the next few months we will be adding new content including product photos and descriptions. 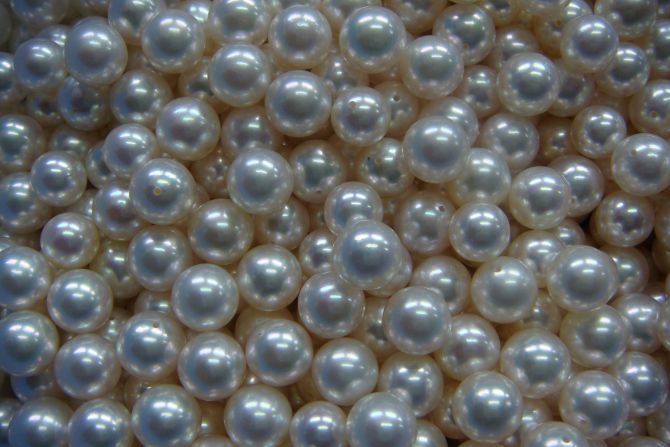 If you have any jewelry requests please contact us or stop into our store. We will soon also have a new look to our brick and mortar location as well. The remodeling of our workshop is now complete. The interior for the front of our store is currently being custom made and will be installed later this summer. This remodel will provide us with about twice the amount of case space allowing us to display much more product in an attractive manner. These 14K gold color stone and diamond huggie earrings make great gifts and will not break the bank at under $1200 a pair! 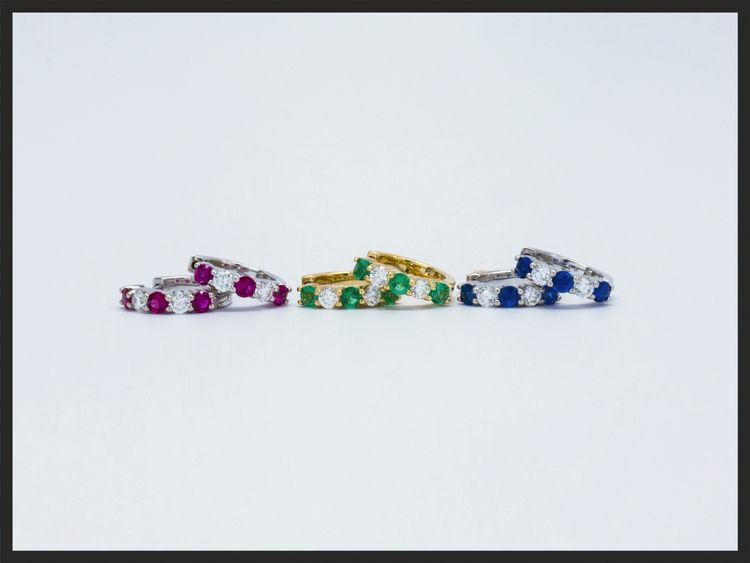 Whitehouse Brothers - American Makers of Die Struck Jewelry. 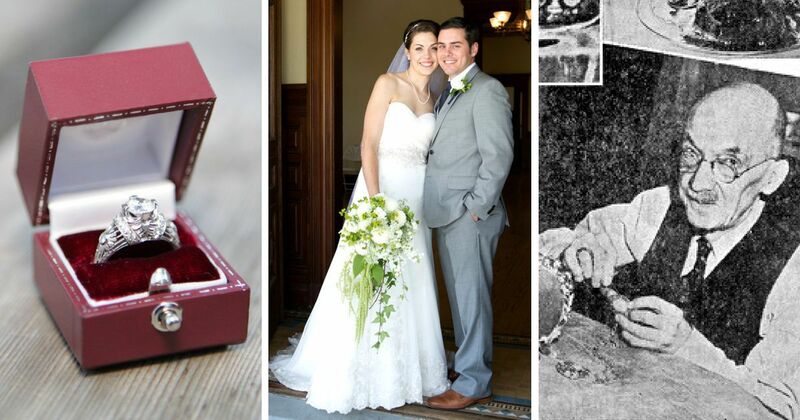 Antique and Filigree Engagement Rings from the Original Designs. Produced with the finest quality of craftsmanship. Cincinnati, Ohio - Since 1898. We are paying top dollar for precious metals. Bring them in for a price quote and leave with a check or a credit towards any purchase or repair job.